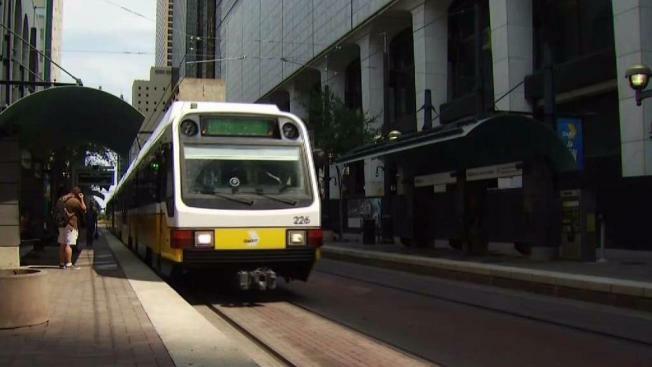 Part of a comprehensive, forward-looking transportation plan for North Texas includes recommendations to create multiple light rail lines, at a cost of $3 billion, that would extend much farther into Collin County than Dallas Area Rapid Transit (DART) currently goes. Mobility 2045 is an attempt by the North Central Texas Council of Governments to plan for transportation needs more than 20 years into the future. Part of the plan, titled ‘Transit Corridor Projects’, focuses on rail extensions, in addition to the creation of new lines. Among those new lines are one tentatively titled the McKinney Line, which would effectively extend the current DART Red Line, that currently ends at the Parker Road Station in Plano, up through Plano, through Allen and into McKinney and Fairview. The NCTCOG also recommends the creation of a Frisco Line, which would begin at the South Irving Transit Center and apparently run north through cities including Farmers Branch, Carrollton, Lewisville, The Colony and Frisco. The plan does not account for DART to be the transit agency that would oversee either of those projects. Under ‘Agency’ the NCTCOG lists ‘East-Other’ for both the McKinney and Frisco lines. The projected cost of the McKinney Line would be $1.8 billion, according to the Mobility 2045 report. The projected cost of the Frisco Line would be $1.2 billion. Mobility 2045 also recommends the creation of other new rail corridors, including a Mansfield Line, which would run from Fort Worth southeast through Mansfield and into Midlothian in Ellis County, a Midlothian Line, which would run northeast from Midlothian through DeSoto and into Dallas, a Cleburne Line, that would run south from Fort Worth through Crowley, Burleson, Joshua and into Cleburne, and a Waxahachie Line, that would run south from Dallas through Hutchins, Lancaster, Red Oak and into Waxahachie.